Global markets were generally down last week with European equities the clear underperformer. The MSCI Europe Index fell 1.36% last week, sliding further than the -0.34% posted by the MSCI All Country World Index ex-USA, an index that tracks both emerging and developed international markets. Domestically, all three major indices fell with the Dow Jones Industrial Average and the NASDAQ Composite both down 0.37% while the S&P 500 fell 0.67%. This week we touch on gold's recent weakness as well as the "taper talk" from the European Central Bank and the International Monetary Fund's reduction in global growth forecasts. We conclude with a fun story on what's driving recent exotic fruit demand. Gold plunged 3.3% last Tuesday to settle $43 lower at $1,269.70 per ounce, its lowest since Brexit and its weakest week this year as the precious metal closed out last week down 4.5%. The week began with news of expansion of the US manufacturing sector as the September ISM manufacturing index improved to 51.5, better than the expected 50.4. The positive data has reignited speculations of an interest rate hike and the US Dollar remained strong, driving gold down in the process. Indeed, last Monday, Cleveland Fed President Loretta Mester appears to have stoked the rate hike speculations by suggesting that the US Central Bank may raise interest rates at their next meeting the beginning of November. Given the positive surprise in the manufacturing data, investors will turn towards the non-farm payroll data expected the end of the week as they look for additional evidence of a possible rate hike. Last Tuesday, Bloomberg published an article suggesting that European Central Bank (ECB) may have reached an unofficial consensus to taper off bond purchases at EUR 10 billion a month before the conclusion of the quantitative easing (QE) in March 2017. If implemented, the taper could be similar to the QE3 program taper by the US Federal Reserve in 2013 and 2014. The news came in a few days after ECB President, Mario Draghi, voiced his concerns that national governments are not playing their part to revive the Eurozone economy during his speech at the German parliament. Markets reacted to the ECB “taper talk” with the Euro strengthening against the US Dollar by 0.3%, reversing a downward trend. Yields on 10-year sovereign government bonds in countries such as Germany, France, Italy and Spain all rose roughly 0.04%. European stocks slid in response with the Stoxx 600 down 0.55% for the day and closing out the week down just under 0.90% for the week. Our own domestic fixed income and equity markets were also impacted with the US 10-year treasury note’s yield hitting a trading session high of 1.67% last Tuesday and the DJIA and the S&P 500 down roughly 0.45% in response. Per the ECB forecasts in September, consumer price growth, or inflation, is expected to accelerate to 1.6% in 2018, below its target of just under 2%. Therefore, it appears unlikely that the ECB will taper at this time, but investors will keep a very close eye on the upcoming ECB Governing Council meeting due on October 20 for further guidance. The International Monetary Fund (IMF) recently released their latest World Economic Outlook in which they downgraded the July estimate of 2.2% US growth for 2016 to 1.6%. The revision was primarily due to “a disappointing first half caused by weak business investment and diminishing pace of stockpiles of goods”. This also translates into a sub-par forecast of 3.1% for global economic growth. The IMF noted that policies, particularly in developed economies, that are restrictive to free trade could further prolong the global recovery. “It is vitally important to defend the prospects for increasing trade integration”, observed IMF Chief Economist Maurice Obstfeld. The Jewish New Year, Rosh Hashana, has people on a quest to find some of the world's most unique fruit and prices for dragonfruit, kiwano horned melons and mangosteens skyrocket in kosher grocery stores. The reason? Many follow a Rosh Hashana tradition that has them trying a new fruit on the second day of the holiday. It got so competitive one year that a limited pomegranate crop had grocers limiting each purchaser to just one. However, changes to US import laws over the recent past have seen an explosion of exotic fruits hitting markets this time of year. Indeed, according to the data, exotic fruit sales jumped nearly 500% in 2014 as compared to the same week the year prior. People are even adventurous enough to put jackfruit on their table. However, a sturdy table may be required as the fruit can weigh as much as 100 pounds and has a meaty taste not unlike pulled pork. Securities offered through Jacques Financial, LLC (JFLLC) a Broker-Dealer, Member FINRA and SIPC.Certain associates of Joseph W. Jacques, CPA, CFPTM are registered representatives of JFLLC. Joseph W. Jacques, CPA, CFPTM and JFLLC are affiliated. 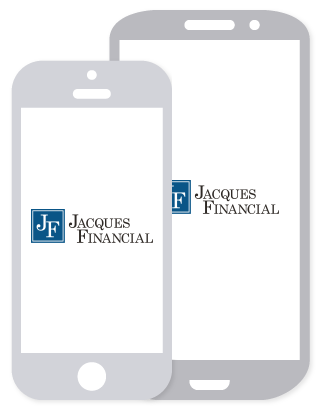 Investment advisory services are offered through Jacques Advisors, LLC an affiliate of JFLLC. Tax services are offered through Jacques & Associates Certified Public Accountants, LLC an affiliate of JFLLC. This newsletter was written and prepared by CWM, LLC. Content in this material is for general information only and not intended to provide specific advice or recommendations for any individual. All performance referenced is historical and is no guarantee of future results. All indices are unmanaged and may not be invested into directly. The Dow Jones Industrial Average is comprised of 30 stocks that are major factors in their industries and widely held by individuals and institutional investors. The NASDAQ Composite Index measures all NASDAQ domestic and non-U.S. based common stocks listed on The NASDAQ Stock Market. The market value, the last sale price multiplied by total shares outstanding, is calculated throughout the trading day, and is related to the total value of the Index. The Standard & Poor’s 500 Index is a capitalization weighted index of 500 stocks designed to measure performance of the broad domestic economy through changes in the aggregate market value of 500 stocks representing all major industries. The MSCI Europe Index captures large- and mid-cap companies across 15 developed markets countries in Europe. The MSCI All Country World Index ex USA captures the performance of securities within the MSCI All Country World Index except for equities within the USA. It is market cap-weighted and covers both developed and emerging markets. The Stoxx Europe 600 Index is derived from the Stoxx Europe total Market Index and is a subset of the Stoxx Global 1800 Index. With a fixed number of 600 components, the Stoxx Europe 600 Index represents large, mid and small capitalization companies across 18 countries of the European region. Securities offered through Jacques Financial, LLC (JFLLC) a Broker-Dealer, Member FINRA/SIPC. Advisory services offered through Jacques Advisors, LLC (JALLC) an affiliate of JFLLC. Tax services offered through Jacques & Associates CPAs, LLC (JACPALLC) an affiliate of JFLLC.